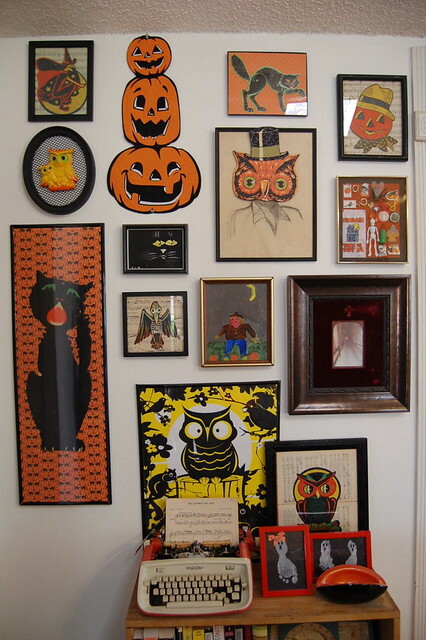 All year long I have been collecting vintage Halloween goodies to add to my collection. 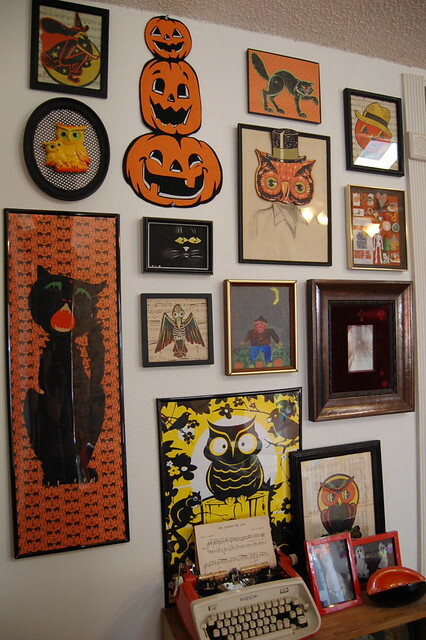 It's that time to start framing and displaying my loot. One of my favorite scores was at the Round Top Flea Market last spring. 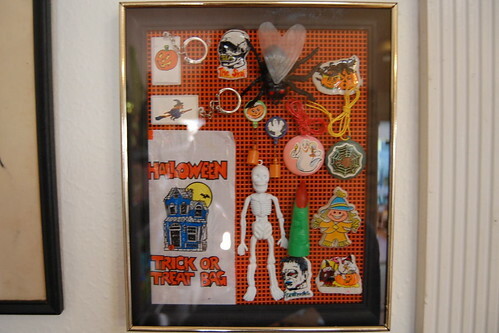 I found the prize display from a vintage Halloween themed gum ball machine. It was cheap and really beat up, but I knew with a little TLC and Tacky Glue I could restore it to it's former kitschy glory. 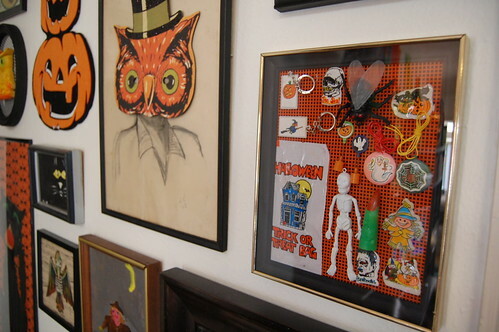 I happen to have a thrifted frame and orange plastic canvas already in my studio because I am a craft hoarder. 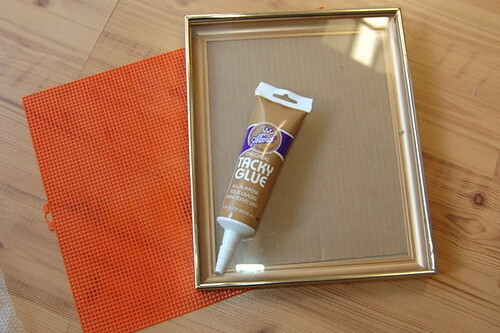 I cut my orange canvas to size. 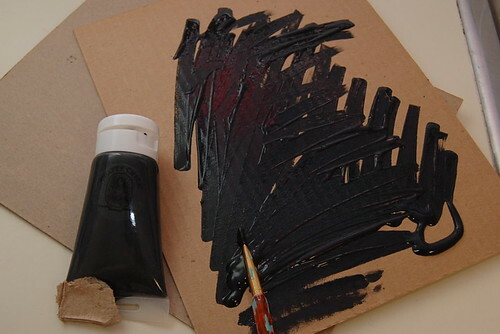 I wanted black to peek through the back of the orange canvas so I coated the cardboard backing with Crafty Chica paint. I also painted the inside of the frame black. After washing my little prizes and removing them from their shrink wrap prison I picked a few of my favorites. Alas, not everyone could fit. 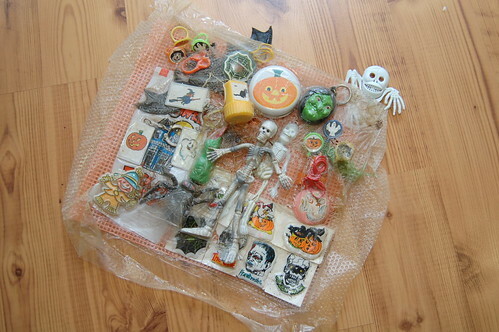 The next thing I did is using Tacky Glue I attached the toys to the plastic canvas. I think the little collection of stickers, witches fingers, keychains and treat bags fits right in with the rest of my collection. What do you think? 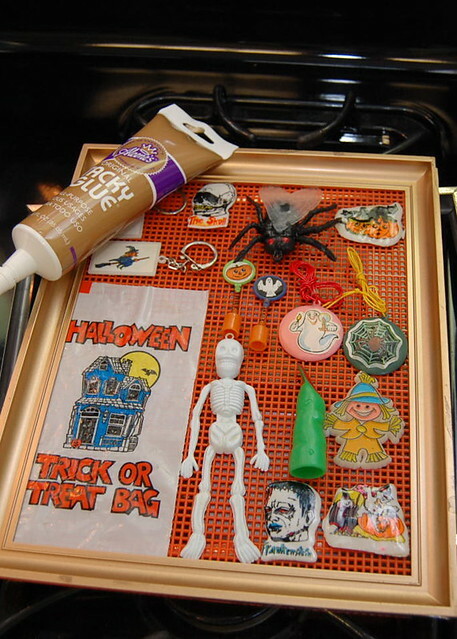 Given I realize not everyone has access to vintage Halloween toys. There are plenty of cute new ones that you could frame. Also, I found mine in one fail swoop but you could also gather a collection bit by bit. 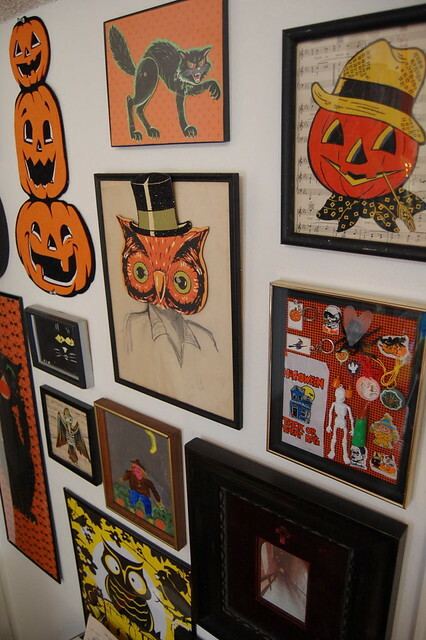 I'm thinking of framing my collection of vintage Halloween cupcake toppers that I have picked up through the years.